We are looking for an Office Team Assistant to join our Home Health team in our Rochester MN office. This position plays a key role in the smooth and efficient running of this branch office. We are looking for someone who is a people person that is organized; detail oriented, and has great communication and customer service skills. At RX Team Home Health Care LLC. 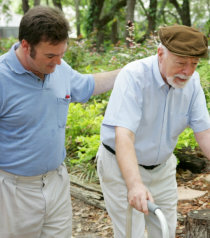 we deliver healthcare services directly to patients in their homes or in assisted living facilities. Our multi-disciplinary team of caring professionals provides a full range of healthcare services – bringing convenience and peace of mind to patients and their caregivers. 1 year of Healthcare and Medical Terminology. Certified Nursing Assistant, Home Health or Hospice experience, or Medical Office experience.